We at New Maryland United are so fortunate to have wonderful seamstresses among us. 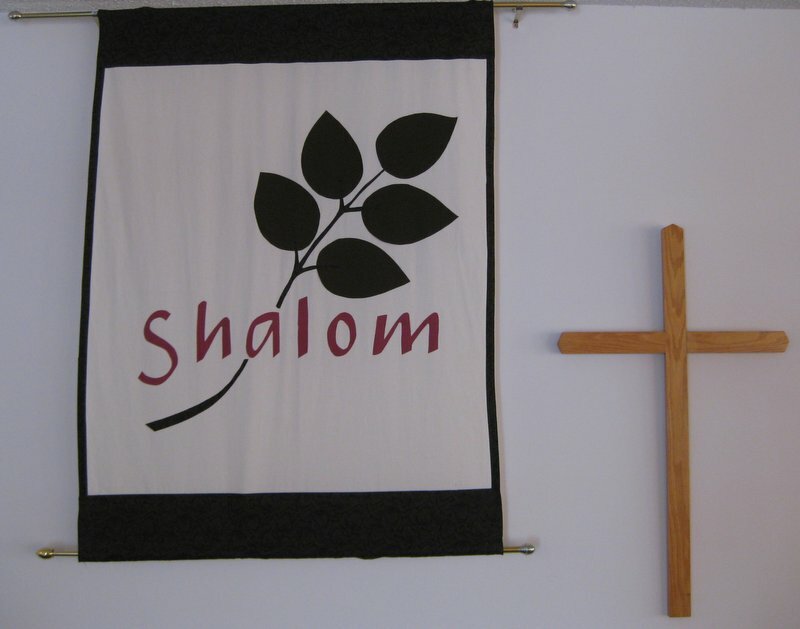 Over the years we have enjoyed seeing new beautifully designed banners appear in our church sanctuary, emphasizing the different seasons. 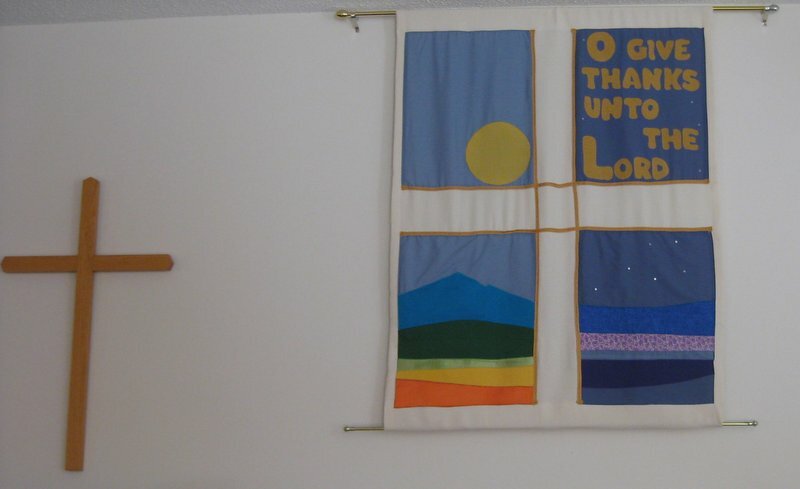 Many thanks to all who have worked on these lovely adornments to our place of worship! 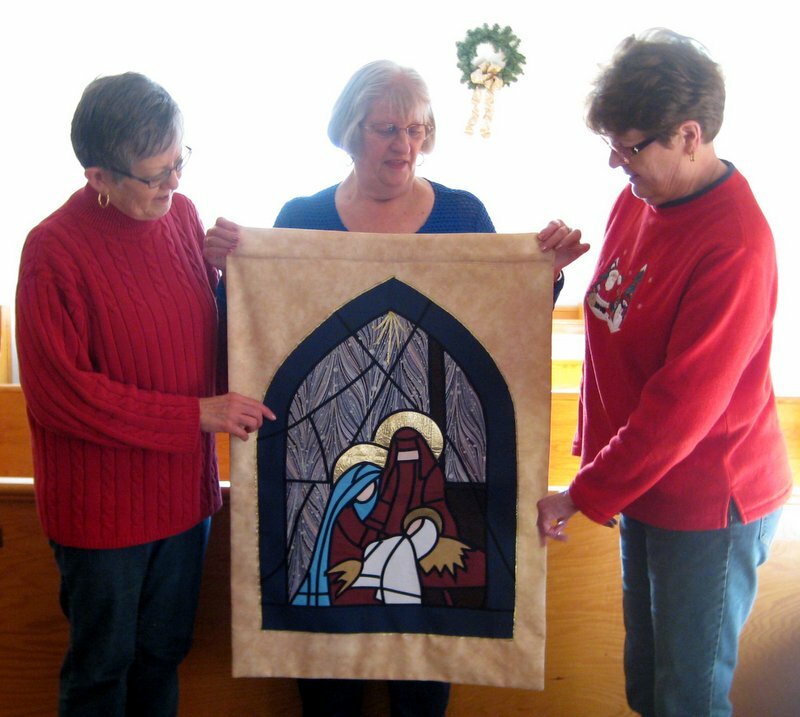 Shown here are Loraine Ward, Janet Merrill and Sandra Cook with one of their many creations. 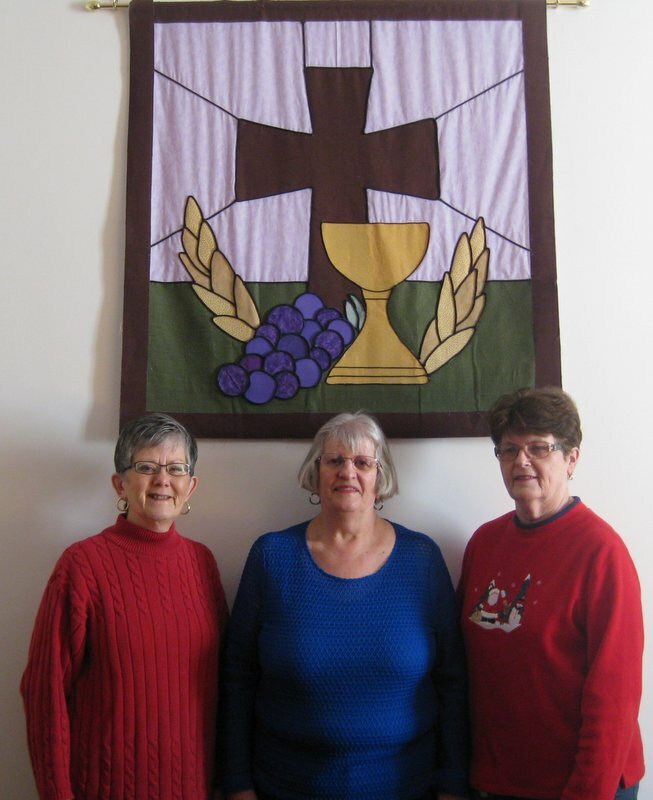 Loraine Ward, Janet Merrill and Sandra Cook getting ready to hang a banner for the Christmas season.